New JAAF Leader Seko Praises Kawauchi's Aggressiveness - "It'd Be OK if He's Chosen"
At the Dec. 4 Fukuoka International Marathon, civil servant runner Yuki Kawauchi (Saitama Pref. Gov't) was the top Japanese man at 3rd overall in 2:09:11, putting his name at the top of the list for 2017 London World Championships team consideration. 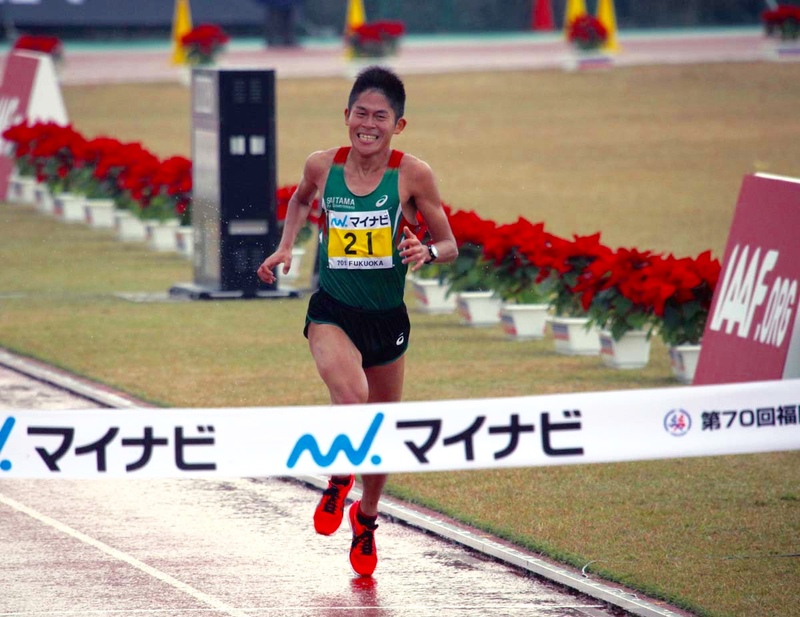 Newly-appointed JAAF Long Distance and Marathon Development project leader Toshihiko Seko praised Kawauchi's aggressiveness in the race, saying, "That was running of tremendous value. It'd be OK if he's chosen [for the London team]." Seko also emphasized the fact that Kawauchi produced results off his training load, which included a 100-km run. "I think young people learned something from that," he said. Beaming with positivity at the conclusion of the first World Championships selection race, Seko said, "This was a good first step. I want to say thank you to Mr. 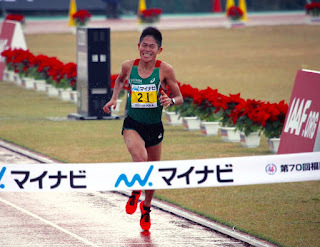 Kawauchi." Thank you once again for your wonderful reporting, and please pass on best wishes from another inspired fan. Understandably, the marathon is YK's (coincidentally, he shares initials with Yiannis Kouros...) primary event. He certainly has the leg speed for the 50K and 100K world records. We know he's got the wheels to last 50K. Would he have any interest in representing Japan in the 50K and or 100K World Championship? The absolute 100K WR is 6:10 (track) held by Don Ritchie. The road record is just a few minutes slower. The 50 km WR is definitely an objective. He has also said he thinks he can break 6 hours for 100 km and has done that distance in training this fall, so I wouldn't say it's unlikely you'll see him run one. The marathon is still the priority, though. I don't think we'll see him at the World Championships soon, though. His younger brother Yoshiki is working in that direction and I don't think he wants to get in the way. When will they announce the team? Not til March after Lake Biwa and Nagoya.